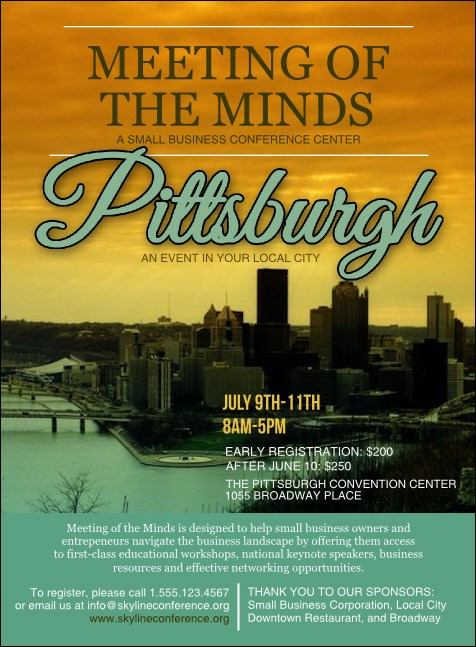 Promote your way to victory in the ‘City of Champions’ when you advertise your next local event in advance with Pittsburgh Invitations. Reinforce your event attendance with Invitations that feature a beautiful pastel background that includes the Pittsburgh skyline along with twenty lines of custom text. TicketPrinting.com helps you bridge the advertising gap.